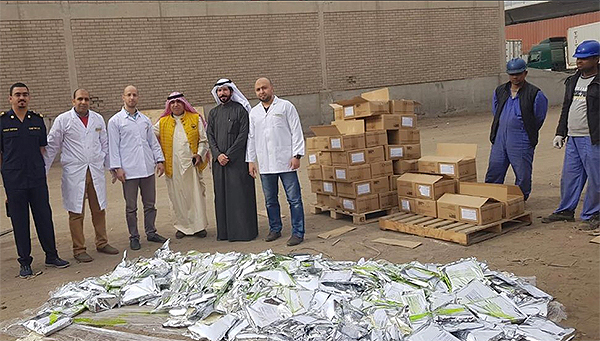 22,912 kilograms of spices imported from the Philippines at Shuwaikh Port, Kuwait were confiscated and destroyed by the Department of Imported Food at Public Authority for Food and Nutrition, reports Al-Rai daily. The Director of the department Ali Al-Khanfur explained that the consignment was seized at the port and examined by the specialized technical committee. It was discovered that the sample contained natural and artificial chicken flavours. However, it is banned to import chicken from the Philippines under the ministerial decree No. 581/2017 issued on August 30, 2017. The seized consignment was 1,450 cartons, including 70 cartons containing chicken mixes. Members of the technical committee decided that the consignment should be destroyed.